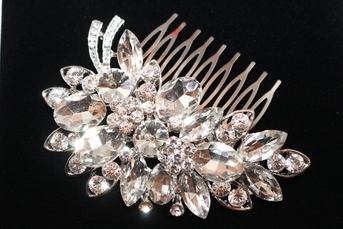 Description: Glamorous and bold, swarovski crystal wedding hair comb. bold stones with round, and marquise cut. measure appox 3.5" side x 3 high. on metal comb.